Workers who have financial troubles even before entering retirement should consider relocating to one of these 25 retiree-friendly cities. NEW YORK (MainStreet) – Compared to past generations, Americans today are delaying their retirement plans more and more. This is often due to inadequate finances, as 51% of workers and 31% of retirees are still working to repay their debts, according to the most recent Retirement Confidence Survey by the Employee Benefit Research Institute. Half of the employed participants in the EBRI survey named cost of living and daily expenses as major factors hurting their retirement savings. Workers who have financial troubles even before entering retirement should consider relocating to an area that is more retiree-friendly. This year, WalletHub has compared 150 of the largest cities in the United States to find the places where retirees can make the most of their golden years. Retirees were assumed to rely on a fixed income, and cities were ranked across four key topics: affordability, activities, quality of life and health care. Various metrics were considered for each topic, such as adjusted cost of living (affordability), number of recreation and senior centers per 100,000 residents (activities), percentage of the population aged 65 and older (quality of life), and emotional health and number of home-care facilities per 100,000 residents (health care). 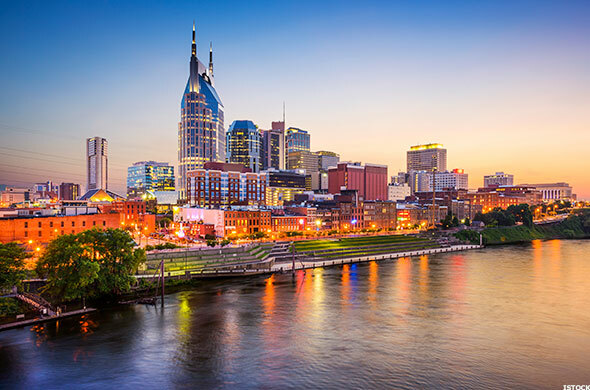 With hot summers and mild winters, the country music capital of the world is a great city for retirees. There is no income tax in Tennessee, and anyone over the age of 65 whose total income is less than $16,200 (single) or $27,000 (married) are exempt from the state’s 6% tax on interest and dividends. Those looking for beautiful scenery have the Great Smoky and Cumberland Mountains and many rivers to explore. 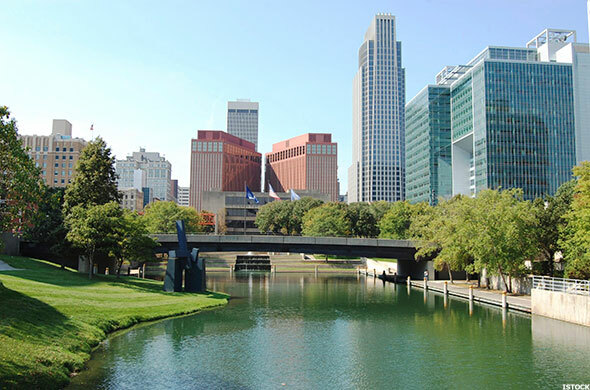 Outdoorsy retirees will love traveling through the Great Plains all around Omaha. Retirees have hunting, fishing, hiking opportunities throughout the state, as well as Broadway shows at the 2,600-seat Orpheum Theater and art exhibitions at the Joslyn Art Museum. Retirees can also rely on a great health care system, as it is the largest employer in the city with two teaching hospitals and three medical centers. 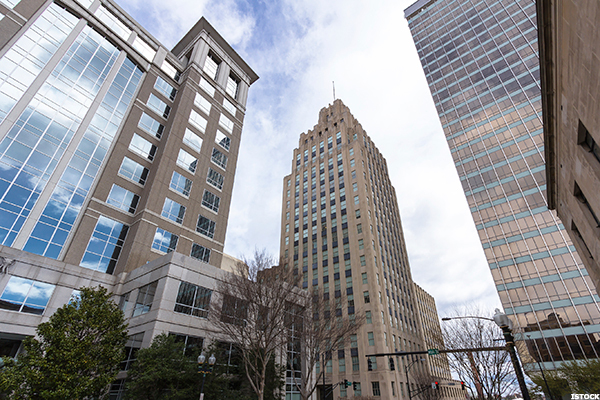 Retirees looking for a place to spend days on the golf course and nights in an active downtown area will have luck in Winston Salem. American history buffs will love walking through Old Salem and Historic Bethabara Park, and the arts district is home to many different attractions. Houses, condos, and apartments are affordable throughout the city. 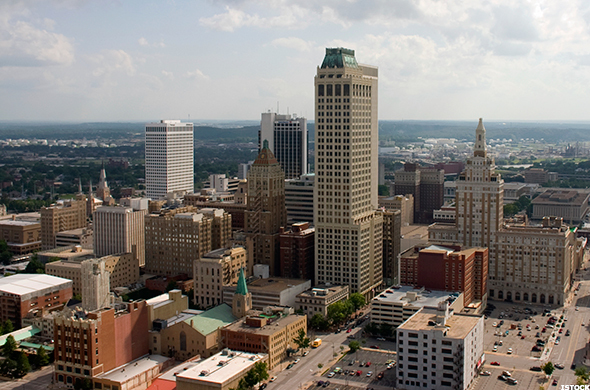 For a cosmopolitan city with a smaller population and more relaxed atmosphere than places like New York or Miami, Tulsa is a great option for retirees. The city offers an opera company, a ballet and a symphony orchestra in addition to 6,000 acres of parks. Additionally, the Philbrook Museum of Art and the Gilcrease Museum both hold diverse collections of art and artifacts. Retirees who are looking for a suburban atmosphere in a desert climate can choose to move to Mesa. 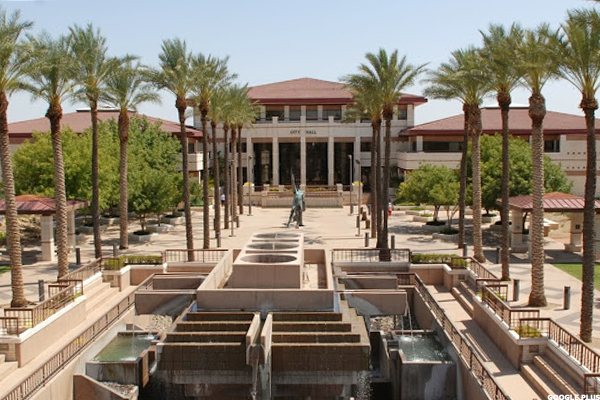 The Mesa Art Center, the Mesa Amphitheatre, and museums including Arizona Museum of Natural History are all notable sights in the area. For baseball fans, the Chicago Cubs conduct their spring training at the city’s Sloan Park, which is also the home of the Arizona League Cubs and the Mesa Solar Sox. Some retirees may not want to choose between metropolitan areas and small towns when looking to relocate. 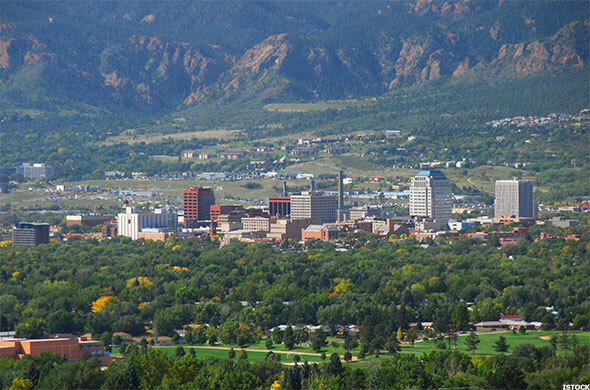 Luckily, Colorado Springs makes this decision easy, as it has many of the perks of a big city, such as an entertaining cultural scene and activities for adults, and a small town, including a number of outdoor activities. Colorado Springs is also home to the U.S. Olympic Training Center, where athletes and coaches live as they train for the upcoming Olympic Games. Affordable homes of all kinds, from historic homes to condominiums and single family homes, can be found in the Garden City. This diverse city is full of history, and is home of The Masters, one of the most prestigious golf tournament in the world. 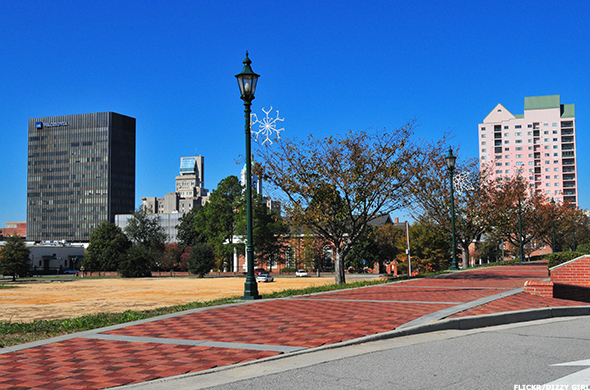 The second largest city in Georgia, Augusta has numerous attractions that retirees can appreciate, such as the Lucy Craft Laney Museum of Black History, Morris Museum of Art, Georgia Golf Hall of Fame's Botanical Gardens and multiple performing arts organizations. 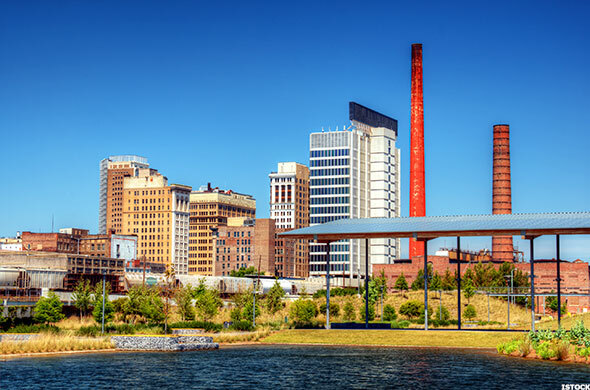 The largest city in Alabama, Birmingham is the entertainment capital of Alabama. Retirees can enjoy everything that organizations like the Birmingham Museum of Art and Alabama Jazz Hall of Fame have to offer in addition to the opportunities throughout the constantly evolving downtown area. Outside the city, the Appalachian foothills and the Ruffner Mountain Nature Center are great places to explore. 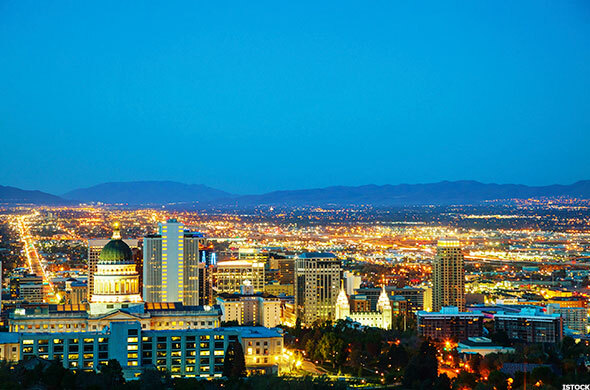 Active, outdoorsy retirees should consider taking advantage of the diverse weather of Salt Lake City. Even on a sunny day perfect for golfing in Salt Lake City, residents only need to take a short drive up the Wasatch Mountains to find snow suited for skiing and snowboarding. Additionally, the city has enough professional sports teams and cultural organizations to keep retirees busy throughout the year. 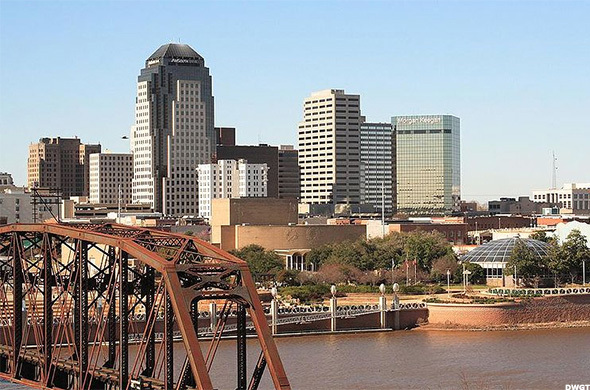 The cost of living in Shreveport is well below the national average, making it an appealing destination for retirees. Taxes are also low in the city, as are health care, food, and transportation. The city has annual festivals of varying themes each month, from Mardi Gras to crafts, and the Strand Theater hosts many different concerts and performances throughout the year. 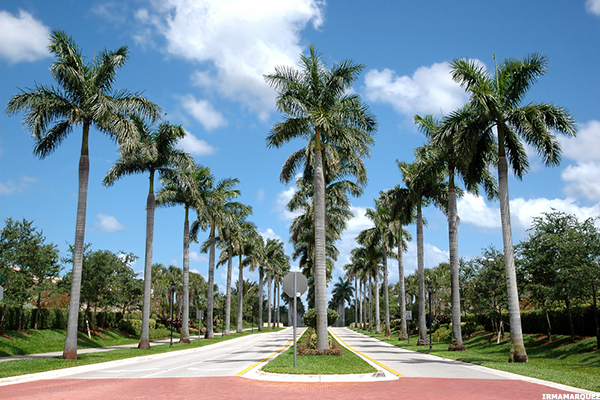 Situated by the white sand beaches along the Atlantic coastline, Pembroke Pines has a large number of activities available for retirees. The city is a short distance away from the Everglades National Park, where visitors can go camping, fishing, and hiking. There is also a large number of senior housing options in the area for retirees interested in a close community of people ages 55 and older. Springfield is an ideal location for retirees who want to enjoy freshwater lakes for fishing and river float trips along the miles of river and lake shoreline. 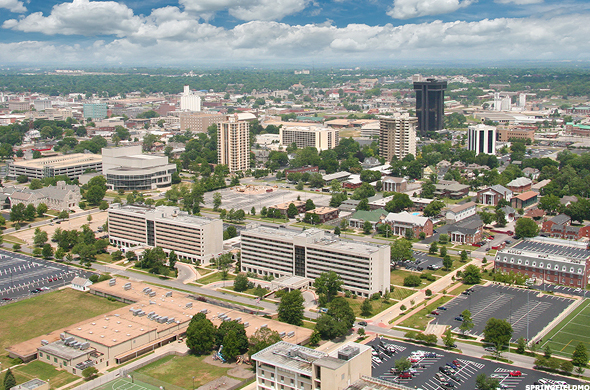 The city, which is the third largest in Missouri, has 92 parks in addition to trails located in and around the Ozarks. Residents can also attend a variety of sporting events, from Missouri State University football games to Springfield Demize soccer games. 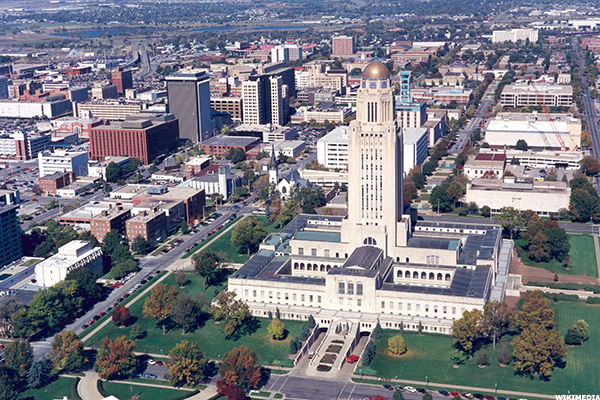 Retirees can enjoy the large amount of parkland, of which there is more per capita within the city limits than in any other U.S. city, in Nebraska’s capital in addition to 128 miles of hiking trails. The Douglas Theatre holds many performances throughout the year, and the Great Plains Art Museum has interesting exhibits to discover. 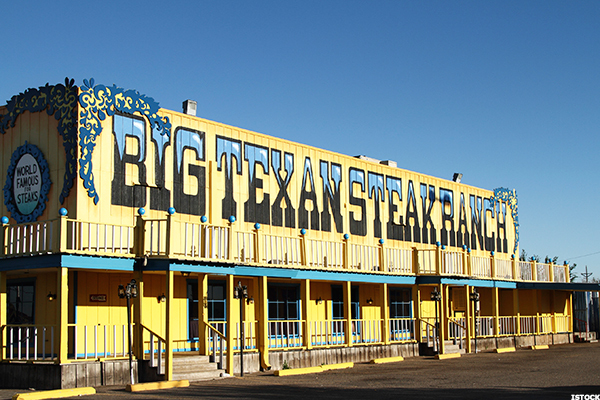 Since the city is so large geographically, there is a variety of different neighborhoods for residents to live in. 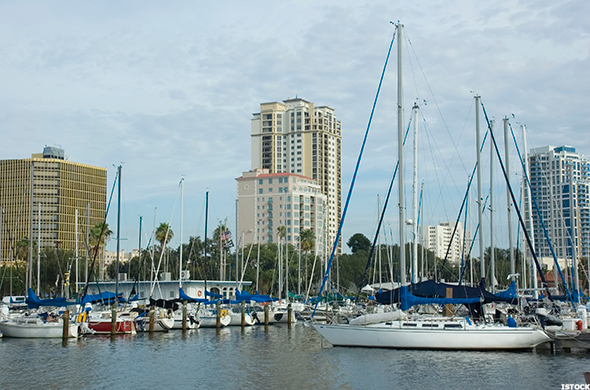 Located on Florida’s Tampa Bay, St. Petersburg has been a classic retirement destination for decades. The city atmosphere is somewhere between urban and suburban, and its beautiful beaches and warm weather give “The Sunshine City” a relaxed feel. There are also many cultural attractions to choose from, such as the Salvador Dali Museum, the Holocaust Museum, Museum of Fine Arts and the Florida International Museum. 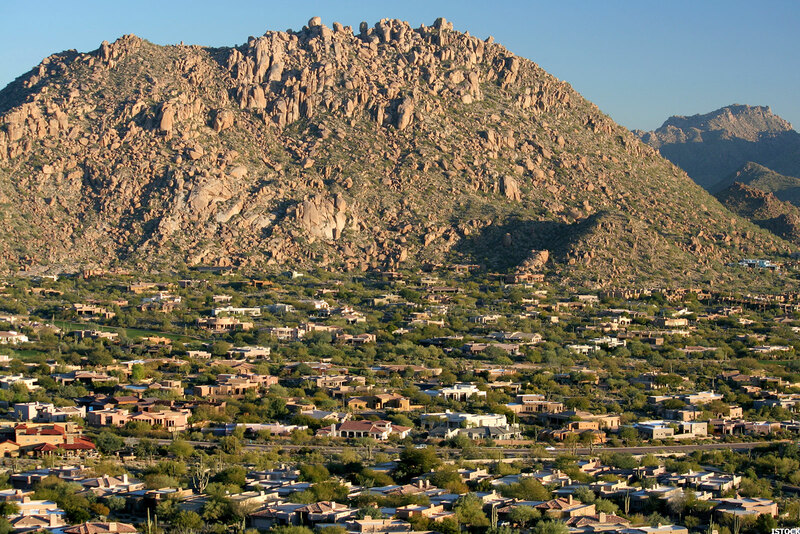 While far from Phoenix, Peoria is the perfect retirement location for people who are looking for a home with a lot of land in a desert climate. Residents can hike the many mountains in the northern region of the city, including Sunrise Mountain, Hieroglyphic Mountains, and Twin Buttes. In the spring, both the San Diego Padres and the Seattle Mariners utilize the Peoria Sports Complex for spring training. Overland Park, the second most populous city in Kansas, has 72 parks for retirees who want a mix of city and greenery. Residents can find public golf, sand volleyball, hiking and biking trails, playgrounds, tennis courts, and basketball courts throughout these parks. 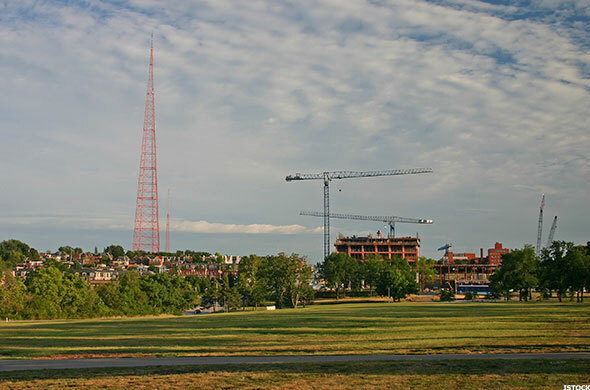 Historic Overland Park and the Nerman Museum of Contemporary Art are also popular destinations in the city. 8. Port St. Lucie, Fla. Golf, beaches and an active Recreation Department make Port St. Lucie a popular retirement city. The city’s Tradition Field is home of the New York Mets during spring training, and retirees can find affordable real estate ranging from high rise apartments near the beach to gated retirement communities. 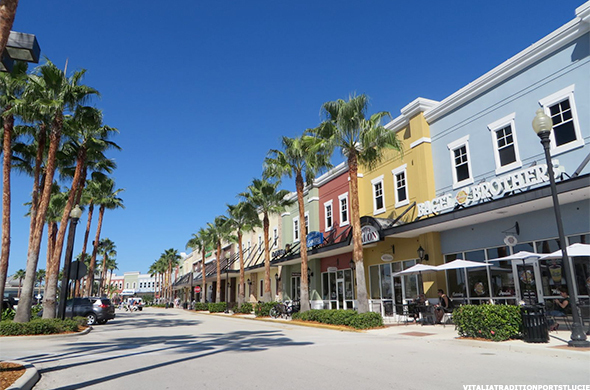 Since it is located halfway along Florida’s east coast than other cities, Port St. Lucie is a less crowded retirement destination than other Florida cities. 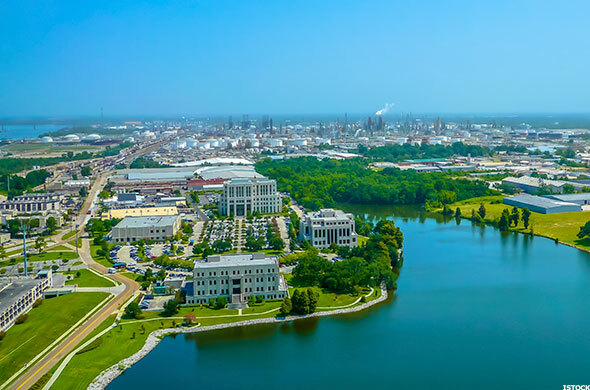 The downtown area of Louisiana’s capital is constantly expanding due to the city’s lively arts scene. Retirees will have no trouble finding activities throughout the city, including festivals and sporting events at Louisiana State University. There is also a rich culture, with people of a mix of various different backgrounds coming together in the city. 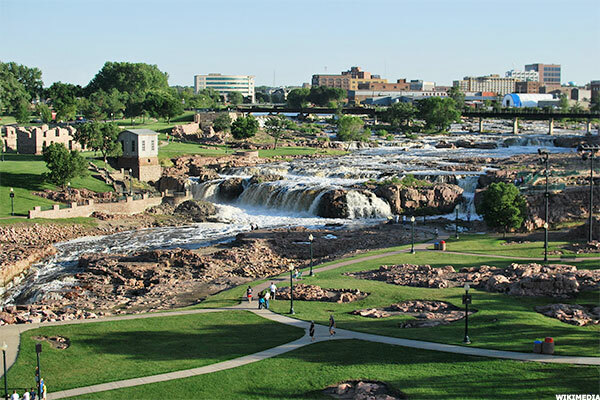 Sioux Falls is a great place for active retirees to spend their golden years. Whether their time is spent exploring the falls of the Big Sioux River or shopping and dining in the bustling downtown district, retirees will always find something to do in the city. While it is the largest city in South Dakota, Sioux Falls still has the quiet, small-town feel that many retirees look for. 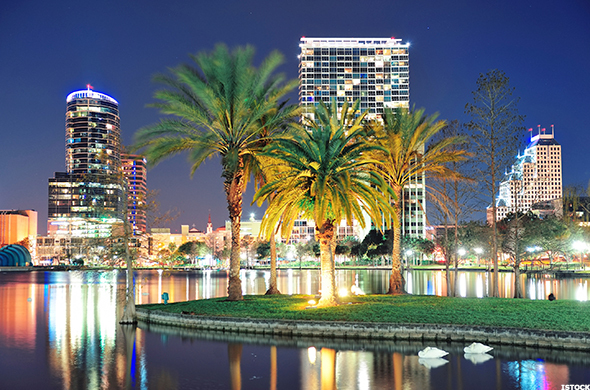 One of the most popular tourist destinations in the country, Orlando is also one of the most popular retirement destinations in the country. The warm weather is ideal for fishing, golf and other outdoor activities, and trips to the area's famous parks, like Disney World and Universal Orlando Resort, can be simple. Retirees can find neighborhoods that fit any budget, from mobile home developments to luxury retirement communities. Often referred to as the "Waterfront Wonderland," Cape Coral is the perfect destination for retirees who want to spend their days by the water. The 400 miles of canals, many of which connect to Gulf of Mexico or the Caloosahatchee River, are perfect for boating and fishing, and the city is only a short drive or boat to the beach. For sports fans, the Boston Red Sox attend their spring training at JetBlue Park. Retirees interested in a robust art scene should consider living in Boise, the political and cultural capital of Idaho. 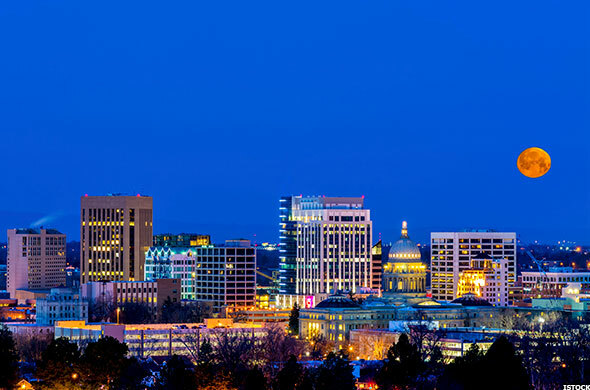 The city boasts a philharmonic orchestra, ballet and opera company in addition to the famous Boise Art Museum. Additionally, retirees can enjoy hiking and fishing on the 25-mile path along the Boise River, skiing at Bogus Basin Ski Resort, and golfing at one of the 19 golf courses in the area. 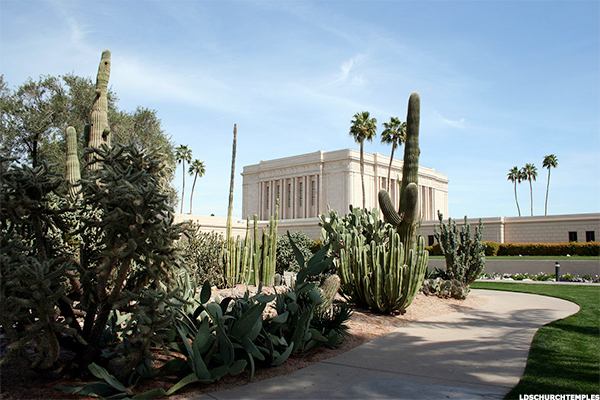 Beyond the summer heat, Scottsdale is the most popular retirement destination in the West. With world class art, shopping, golf, and tennis at their fingertips, residents will not have any problems finding ways to fill their time. Fans of the architect Frank Lloyd Wright will also enjoy visiting his former winter home, studio, and school located right in the city. 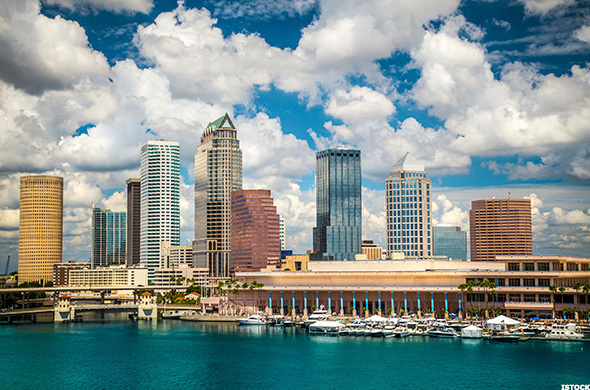 Located on Tampa Bay and Hillsborough Bay, Tampa is a large city that has something for everyone. The real estate ranges from downtown urban to expensive waterfront, with a variety of active adult communities dispersed throughout. Residents can buy tickets to any of the city's professional sports teams, spend time in one of the many parks, or enjoy a day at the beach with countless other activities to choose from.